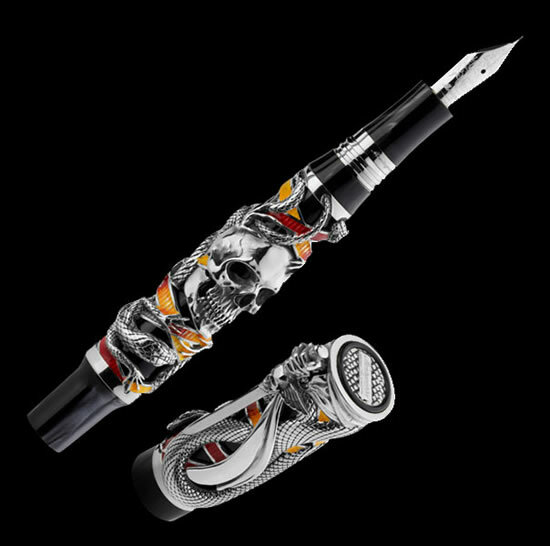 The newest pen collection from Montegrappa, the famous manufacturer of writing instruments has a writer and actor Sylvester Stallone written all over it. 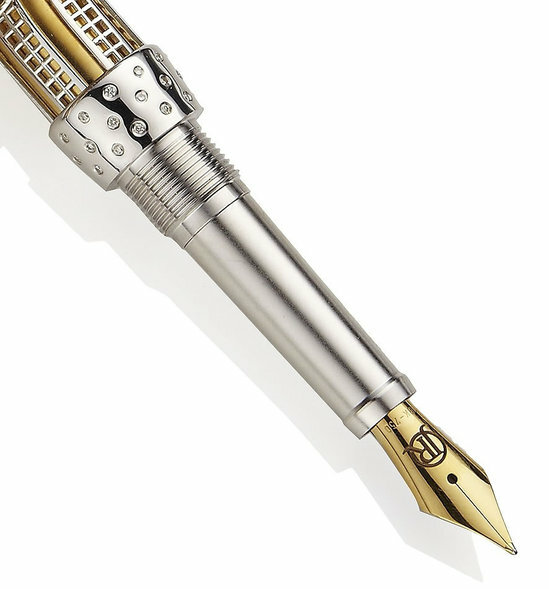 Although it not literal, the collection is designed by Sly as he is fondly known, who also happens to be the new face of Montegrappa’s advertising campaign. 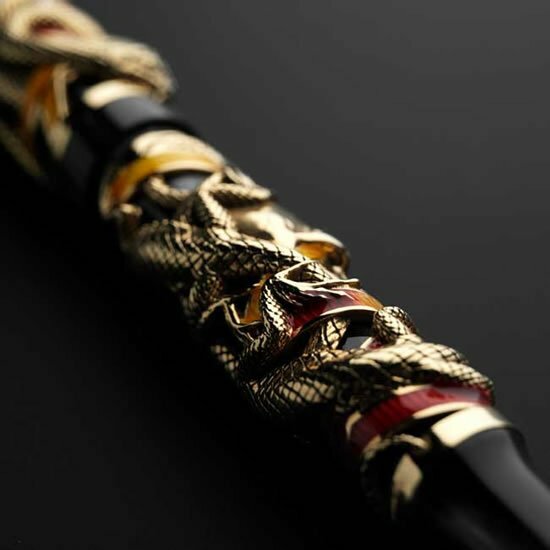 Aptly named Chaos and rightly so, the design for the pen was inspired by classical art by 16th-century artists including Battista Franco, Albrecht Durer, Hans Sebald Beham and Antonia Pollaiolo. 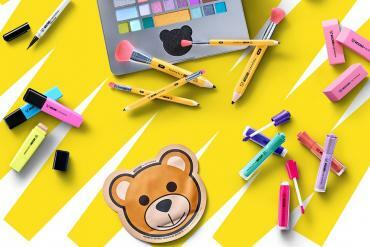 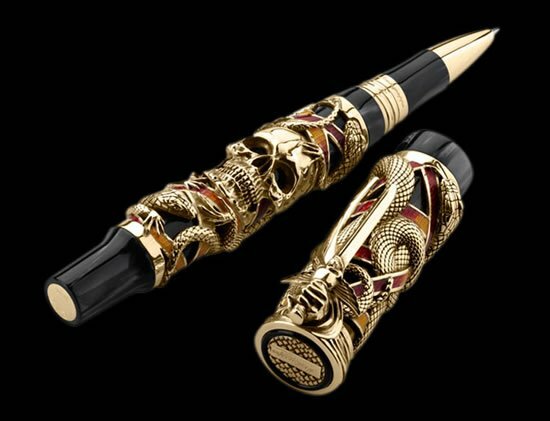 The body of the pen is crafted from black pearlized celluloid with sterling silver or 18K gold overlays. 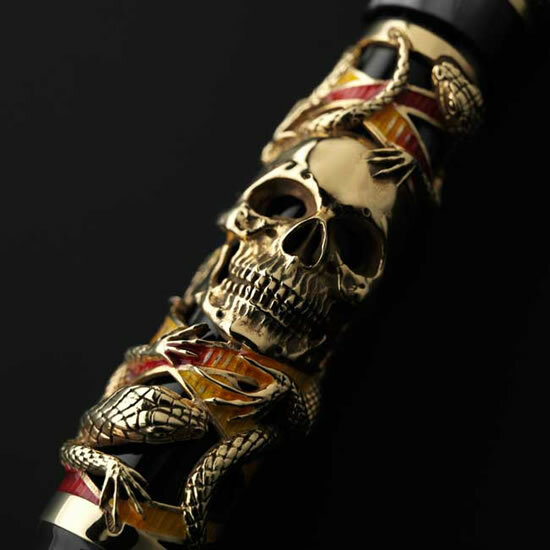 Montegrappa’s skilled craftsman carefully added antiqued finish with red and yellow enamel accents that represent the colors of fire. 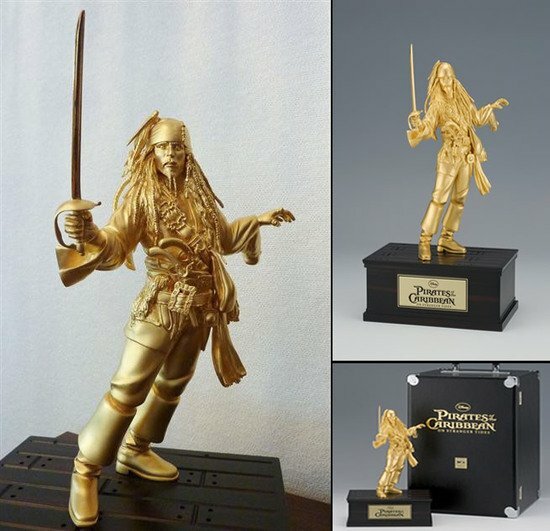 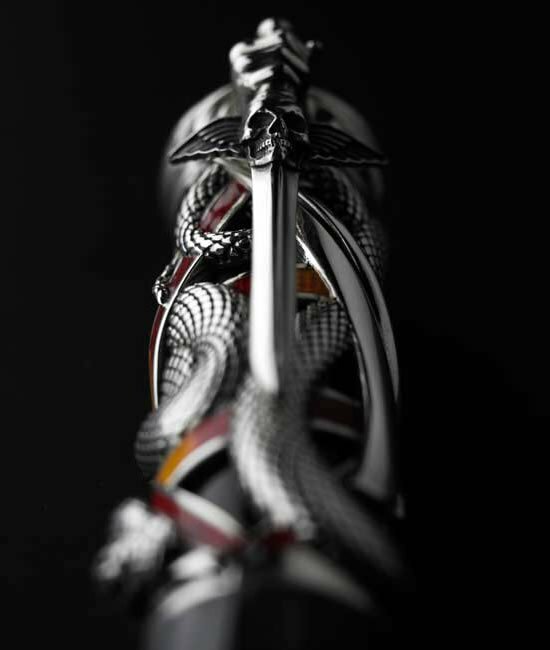 It is finished off with details of fist, skull, reptiles and the pen’s clip is brilliantly transformed into a sword. 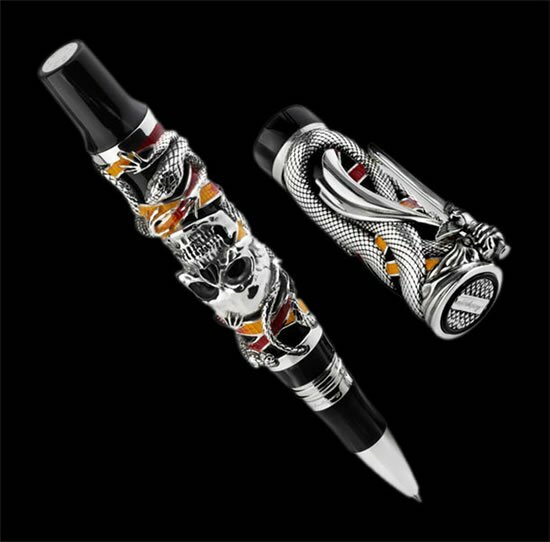 The Chaos pen from the Cult collection will be presented in the limited edition of 1,000 fountain pens ($5,400) and 912 rollerballs ($4,700) in sterling silver. 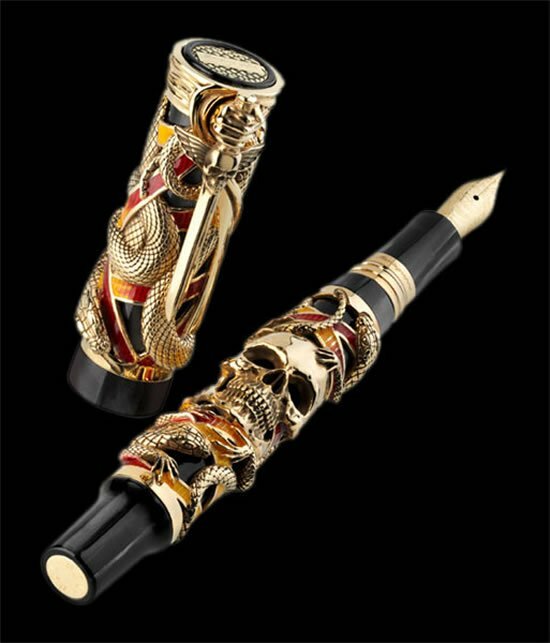 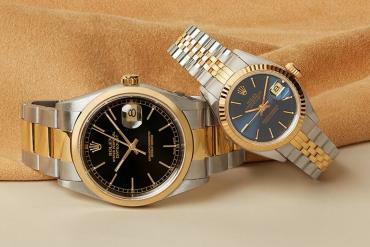 In addition to that 100 fountain pens ($61,800)and 100 roller balls in solid 18K gold ($65,300) with another 10 fountain pens and 10 ballpoint pens in solid 18K gold set with precious stones will also be made available. 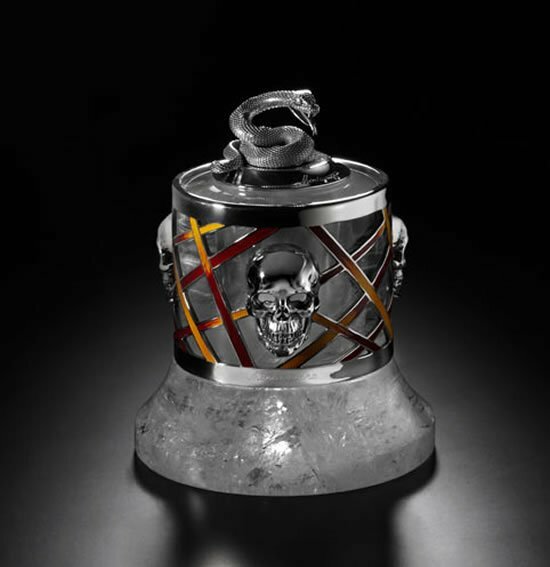 A complimentary Chaos inkwell in rock crystal with 18K gold or sterling silver will accompany this collection. 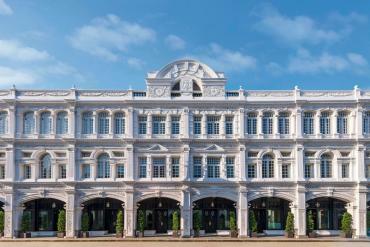 Next articleWorld’s biggest airport coming up in London?